Today, there is a greater need for the light of the Zohar than ever before. Each day, billions of people are suffering from extreme poverty, deadly disease, natural disasters and violent conflicts. A survey of our recent history shows that pain, suffering and crises come with increasing frequency and intensity in our world. But how might our world change if all individuals became inspired to seek out and study the wisdom of the Zohar? What miracles might occur if each recipient of the Zohar was directly involved with earning its spiritual light? Where might we all be if we recommitted ourselves each day to using the Zohar as a spiritual tool for global transformation? Imagine the possibilities for our world. For centuries, kabbalists have taught that the end of pain, suffering and death will come to our world only when the Zohar and its spiritual wisdom is actively revealed to a critical mass of people. The Zohar Project is a grassroots volunteer movement dedicated to bringing the power of the Zohar to every corner of the world. Through the leadership of Kabbalah Centre co-director, Michael Berg, volunteers from New York to Nigeria work in unity to share the Zohar and its wisdom unconditionally and free-of-charge with all those who desire to possess it. Every day thousands of Zohar Project volunteers work to share the Zohar and its spiritual wisdom with people throughout the world. Read about our current focus areas and how you can participate. While it is true that there are more Zohars available in the world today than during any other time in history, ancient kabbalists taught that the quality of blessings that one can reveal from the Zohar is dependent upon one's appreciation and understanding of the Zohar’s wisdom. It is for this reason that the Zohar Project provides online and offline learning opportunities for people new to the Zohar. 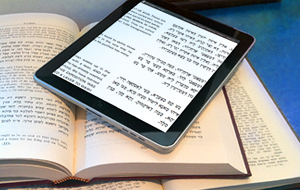 Spearheading the launch of Zohar.com, millions of people now have access to the Zohar and its secret teachings. To create a personal Zohar study plan, click here. Since 2007, Zohar Project volunteers the world over have helped to disseminate hundreds of thousands of Zohars to people from all walks of life. Through a global network of volunteer teams, the Zohar Project shares the Zohar in areas of the world that are in need, such as war-torn countries, communities ridden with crime, or areas affected by natural disasters. The Kabbalah Centre receives countless letters describing amazing miracles that have occurred as a result of the dissemination of the Zohar through the Zohar Project. To receive a free copy of the Pocket-Size Zohar, click here. Every day, students of The Kabbalah Centre are encouraged to scan, read and study the Zohar as a means to improve their own lives. Over the years, we have received countless miracle stories related to students making practical use of the Zohar in times of great need. 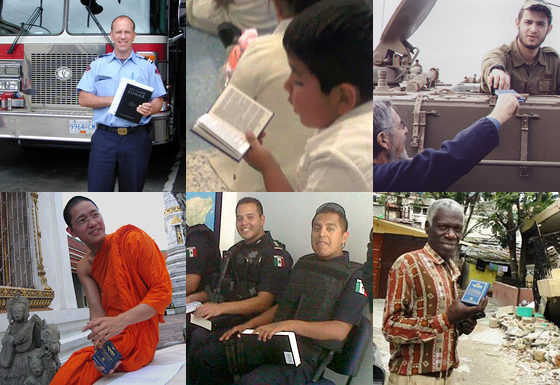 Building on these experiences, the Zohar Project has established a 24/7 Scanning Program. By having the Zohar scanned every hour of the day in every part of the world, our volunteers are guaranteeing that all openings of chaos throughout the day have the counterbalancing energy of the Zohar to fill that void. To download the Zohar Scanning Chart, click here. Continuing the work of Rav Shimon bar Yochai, the Zohar Project is doubling and tripling its efforts to reveal the Zohar’s light by investing equally in education, dissemination and connection of the Zohar on an unprecedented level. Fundraising is essential to allow all of this work to continue. As Kabbalah Centre founder, Rav Ashlag taught; there is nothing greater that an individual can do to bring blessings for himself and for the world, than sharing the Zohar and its wisdom in this world. Contributing to the Zohar Project is a preeminent opportunity to both support and benefit from this great work. "I donate to the Zohar Project, because I truly believe if there was a Zohar in every business, home, building and vehicle, we would be well on our way to the end of pain, suffering and chaos in the world. The Light that the Zohar brings by its very existence is enough to change lives even if one doesn't understand it. But with the Zohar spread all over the world and with the consciousness of its ability to bring Light, there will be an end to all of the world's disunity and separation and peace will prevail at last. I can't think of a better place to put my tithing and I thank the Light for the Kabbalah Centre for giving me the chance to be part of the world's transformation and my own." To make a donation to support the work of the Zohar Project, click here. To become involved with the Zohar Project, fill out this form.